Tree Surfers is open everyday throughout Easter. Bring your family and friends along for a fantastic day of outdoor adventures in the Easter holidays. Tree Surfers is located in the Tamar Valley, this web 5 minutes from Tavistock, 10 minutes from Callington, 20 minutes from Launceston and the A30, and 30 minutes from Plymouth. Run wild and have an adventure together. We are located in a beautiful wooded valley above the river Tamar. Our activities are designed in harmony with the natural environment. It’s a magical place and we promise to keep it that way. Our warm and friendly staff are trained to support you every step of the way. The fun doesn’t stop with Tree Surfing. You can also book archery and bushcraft sessions, hire bikes, walk the 25kms of woodland trails, take the dog. And there’s the wonderful Beech Tree Café to return to for lunch, barista coffee and afternoon tea. An adventure you wont forget. Up in the trees we’ve created ropes bridges, zip lines, walkways, drops, swings and obstacles to challenge and excite you. 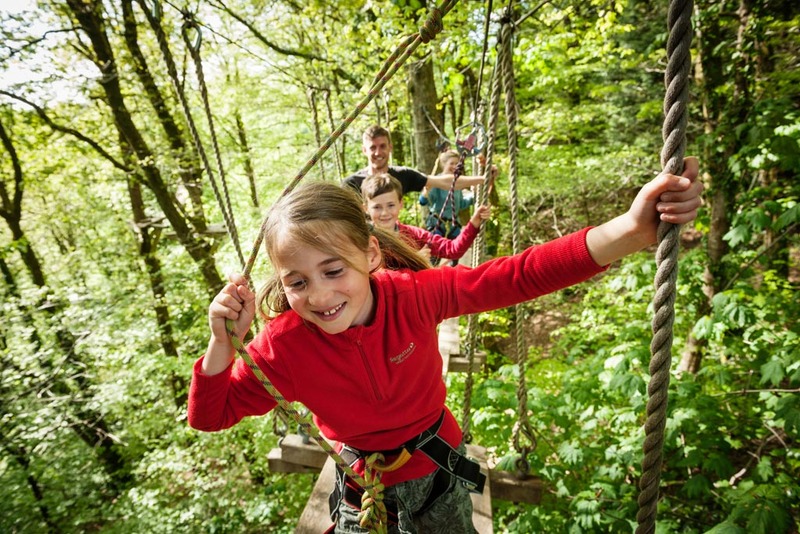 There are four specially designed courses from junior (4 years upwards) to the ‘black run’; plus the exhilarating ‘leap of faith’ and the awesome ‘big zip’ There is so much to explore its easy to spend the whole day with us.